Colorado natives Jason and Kathi Weaver are accomplished real estate professionals who comprise The Dream Weavers real estate team with Innovative Real Estate Group. 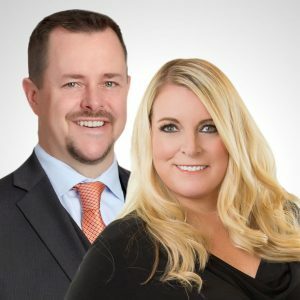 The dynamic husband and wife team are known for their expertise in all segments of the highly competitive residential real estate industry, including buying and selling, new construction, relocation, luxury homes, investing, and more. The Weavers serve the diverse real estate needs of home buyers and sellers throughout the metro Denver area, including first-time and move-up and downsizing buyers seeking the perfect new home while working with ethical, knowledgeable brokers. The couple possess outstanding listening and communication skills, and are especially known for superior customer service and innovative marketing programs. Jason and Kathi started their careers by selling new homes for some of the region’s most respected builders and were annually among the top selling new construction brokers in metro Denver. The team’s strong relationship with leading builders continues today, which is a valuable asset for builders and home buyers alike. Their combined knowledge of the resale and new construction segments of the residential real estate business have helped them reach the upper echelon of top producing brokers in metro Denver. Jason and Kathi have been recognized as “Five Star Real Estate Agents” by Denver’s 5280 Magazine for several consecutive years, a distinction that reflects a high level of service and client satisfaction. Jason earned his bachelor’s degree in business administration with an emphasis on marketing from Colorado State University. Kathi entered the real estate business upon graduation from high school and is widely known for her market knowledge of the metro area and its neighborhoods. For multiple consecutive years, Jason and Kathi have been recognized for outstanding sales production by the Denver Metro Association of Realtors (DMAR). The Weavers were ranked among the top of all member teams with DMAR in total transactions and volume. They are also active supporters of the St. Jude Children’s Golf Classic that raises funds for the St. Jude Children’s Research Hospital, a global leader in finding cures and saving children from cancer and other deadly diseases. The couple sponsored the 18th hole at the 2013 event. The Dream Weavers website provides a wealth of information about available homes encompassing a wide variety of styles, sizes, and price ranges throughout the metro Denver area. Jason and Kathi have been happily married since 2005 and are the proud parents of two daughters. Jason loves all sports and Kathi enjoys being pampered at the spa. Both have a passion for traveling and exploring new and exciting places. They enjoy spending quality time with their family and everything that the beautiful state of Colorado has to offer. When you’re ready to buy or sell a home, invest in real estate, purchase a vacation home, or require other real estate needs, contact Jason and Kathi Weaver for personalized, professional service that far transcends the mainstream. © Copyright - The Dream Weavers. All Rights Reserved. Powered by OnlineStir.